Maybe a bit ironic, the first FTD book to come without an accompanying CD, A Moment in Time–4 Days in '56 (released in November last year), is one of the best from the label so far. Not only does the author Michael Rose present literally hundreds of never before seen photos from Elvis' late spring tour in 1956, with the help of a well written text he also tells the story behind the images. I guess you could call A Moment In Time–4 Days in '56 a “textvisual documentary,” as opposed to the “audiovisual documentary” concept used on earlier FTD books that include CD's. And it's an approach that works extremely well. I found myself engulfed in the book, reading it from cover to cover while simultaneously studying the photographs. 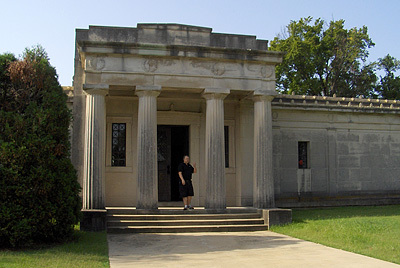 As for the photos, they are the result of two national magazines, Seventeen magazine and Look magazine, sending photographers and writers to find out what Elvis was all about. Spending several days with him on the road, from Detroit to Columbus, then on to Dayton and finally home to Memphis, the resulting candid shots shows Elvis performing, meeting his fans, relaxing between shows and at home with his family. For example, there are some great shots in the beginning of the book of Elvis spending time at a local arcade in Detroit, playing pinball and shooting a carnival gun. A couple of pages later the text tells the story of Elvis meeting five winners of an “Why Teenagers Like Elvis Presley” essay contest run by a local newspaper. And looking at the pictures, sure enough, there is Elvis hanging out with the kids, playing the piano for them, signing autographs and finally posing for a souvenir photo. I'll never forget how he dressed, the way he held the microphone, moved around the stage. He stood legs apart to swivel, then crouched down to touch outstretched hands. He was original and, damn, he was cool. The girls today would say 'hot,' and he was. Speaking of fans, the book includes a couple of photos from one of the shows in Dayton of young girls screaming so much that they probably couldn't hear a word of what Elvis was singing. A local police officer standing close by watches them with an amused look on his face. The photographers also followed Elvis into his bedroom where he posed with his stuffed animal collection. In one of the final shots Elvis can be seen sitting on his bed, holding his mother's hand and looking happy and content. It must have felt good to be home again. 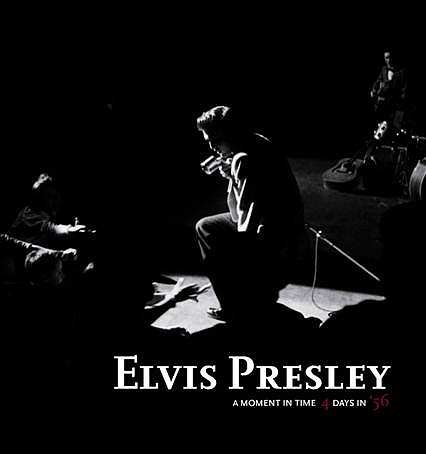 In December last year, Arjan Deelen, tour manager of The Original Elvis Tribute show, told me that A Moment In Time–4 Days In '56 is a real keeper. I couldn't have said it better. Ever since I first listened to the June 1975 Dallas concert that concluded the Elvis Aron Presley box set, I've had a soft spot for the tours Elvis did in the spring and summer of 1975. Maybe his artistic ambitions had faded at the time, but he was back in good shape, full of energy and his voice as impressive as ever. Something that is evident while listening to former FTD releases such as Dixieland Rocks (2001), Southern Nights (2006) and Dixieland Delight (2009). Now, I'm happy to report that this holds true for the recent FTD addition Another Saturday Night as well. Featuring the evening show from Shreveport on June 7, 1975, Elvis sounds engaged and is clearly having fun. Judging by the screams from the fans in the Hirsch Coliseum, so is the audience. As with all the concerts from the May 30-June 10 tour, this one doesn't take off fully until it's time for “Burning Love,” delivered in true 1972 style right after “The Wonder Of You.” As “T-R-O-U-B-L-E” is then performed after the introductions, promoting his new single, the fans are treated with no less than two of Elvis' best rockers from the 70's at the same show. Other highlights include “How Great Thou Art” and “An American Trilogy,” the former having Elvis repeating the last verse (“I can do it better than that, see, cause I missed that first part”), the latter receiving an enormous response from the southern audience. And here I am, listening to the very concert where those words were spoken by Elvis, 37 years ago. That's a bit strange, too, don't you think?! But FTD made it happen, and for that I'm grateful. A couple of days ago I decided to give the Girls! Girls! Girls! soundtrack album a spin. 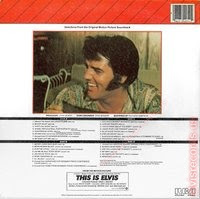 Listening to the second track, “I Don't Wanna Be Tied,” I found myself enjoying the transition from the fast tempo of the song to the slow ending, done in the style of “Jailhouse Rock” from Elvis '68 Comeback Special in 1968. A song Elvis used in his live act at the time, and had already tried to record at Sun, “I Got A Woman” became his first RCA master. It's a fast and bouncy number, right up to the slow ending that is timed perfectly. 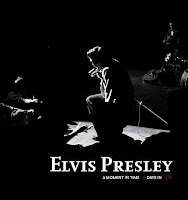 Released on Elvis Presley in March 1956. Used to great effect towards the end of the movie Loving You, this must count as the ultimate slow ending version, at least movie wise. Has Elvis ever ended a song in a cooler way in any of his feature films? 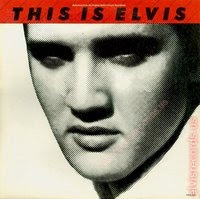 This version was finally released on the first Essential Elvis volume in 1986. One of my favorite cuts from the Blue Hawaii soundtrack recordings, “Steppin' Out Of Line” sadly didn't make it into the movie or even onto the original album as a bonus song. Instead, it ended up on Pot Luck in 1962. I actually prefer the record version (with Boot Randolph's saxophone) over the movie version. Also, the record version has a much better ending, guess what kind it is? Apparently Elvis favoured the slow ending style while recording the Blue Hawaii soundtrack. “Rock-A-Hula Baby” ends in almost exactly the same way as “Steppin' Out Of Line,” and just like the latter it's a fun song, wild and cooking. One of the musical highlights from the movie as well as the soundtrack album. Performed in the movie Girls! Girls! Girls! at a local nightclub, “I Don't Wanna Be Tied” isn't a bad number. But compared to “Got A Lot O' Livin' To Do” (finale), it falls far behind. This is especially true for the slow ending, where the movements made by Elvis dressed in a jacket and tie are miles from the ones made in Loving You five years earlier. Not featured on the master (take 5), the alternate take 3 includes a slow ending, just as the movie version did (having Elvis dancing together with Ann-Margret). But it's clearly done on the spur of the moment, as it starts five seconds after the take ends, sounding very improvised and unpolished. But great to listen to, nevertheless. First released on FTD's Silver Screen Stereo in 2001. Though not containing a strictly slow ending, the title track from Elvis' twentieth movie offers something along the same lines. That's why I decided to include it on my list. Definitely featuring a Presley signature ending style, “Baby, If You'll Give Me All Of Your Love” is a fast rocker, maybe not of the best quality but sung well by Elvis in the movie Double Trouble. Watching it on the big screen is another matter, with Elvis slapping an uppright bass and singing to some kind of doll's head placed at the top of it. Recorded to the day two years after “Baby, If You'll Give Me All Of Your Love,” “Jailhouse Rock” from Elvis' ´68 Comeback Special is a different ball game altogether. Singing with a rough voice, he has never sounded more driven or wild, and the slow ending is sensational. It's Elvis returning to his roots. Why Elvis favoured a slow ending on his version of the seasonal standard “Winter Wonderland” is anybodies guess. Clearly, he was tired of the song, and the performance is spiritless, to say the least. Maybe he thought a slow ending would help save it somehow (I think it did), or maybe he just did it for laughs. 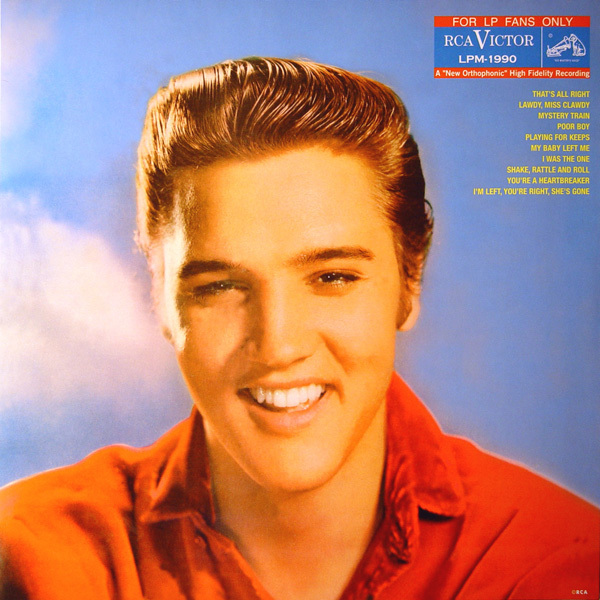 Elvis version of Billy Swan's “I Can Help” was to be his last fast tempo studio recording to feature a slow ending. He nailed the song in one single take. When Elvis returned to the stage in 1969, one of the songs he brought with him was “I Got A Woman,” complete with the slow ending he originally used in the 50's. A couple of years later he would add the “Amen”-routine to this song, but the slow ending remained right up until the last concert in 1977. Elvis also sang “Jailhouse Rock” in 1969, but without a slow ending as the song was coupled with “Don't Be Cruel.” Later on, though, he re-used the ending from the '68 Comeback Special. 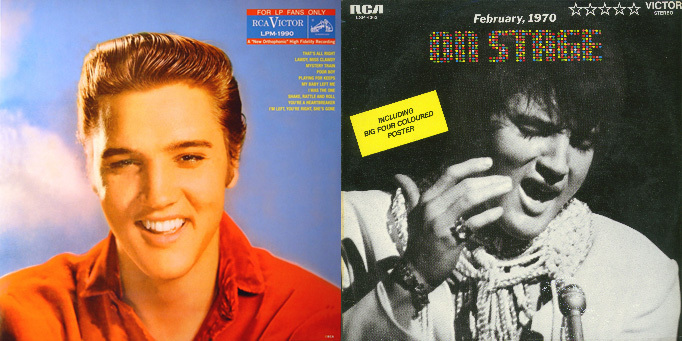 One example of this can be found on the album Elvis In Concert from 1977. This snippet only lasts for about a minute and was originally released on FTD's I Sing All Kinds in 2007. As the jam ends Elvis starts to sing what sounds like a slow ending, adding, “I said Johnny.” But when the musicians start to follow he laughingly says, “No, no, no, no,” aborting the idea. Finishing the above list, one question that still remains, is if it was Elvis that originally came up with the idea to end songs this way. But maybe the answer isn't all that important. That type of ending will always be a “Presley Signature Ending Style” in my book.